Behaviour problems , help for the special needs child. The focus here, concerning behaviour problems, is on the preventative approach which is key to maintaining positive behaviour in your child. There are many things that can be done to assist and provide support for parents and teachers invoved with behaviour problems and issues that are causing concerns both at home or at school for a special needs child. Be consistent when dealing with a child who has behavioural issues, as this will often lead to more productive and positive behaviours. Plan strategies that you can implement regularly when your child is acting out, involved in conflicts, bullying, or being verbally or physically aggressive. It is very important that you interact positively with your child, and never call the "bad"; it is the problematic behaviour that you are not happy with, and not the child as a person, so make sure that you explain this when your child is acting up. 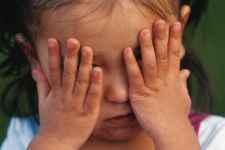 Acceptable and appropriate behaviour is developmental - it happens over time and can be moulded by parental support and guidance, previous experiences and intervention techniques by teachers and parents. 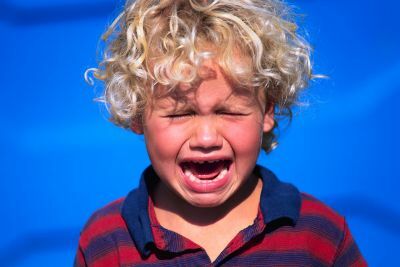 Occasionally, despite all your efforts to correct and different behavioural techniques, some special needs children will continue to have ongoing behavioural problems. You cannot be all things to your child at all times, and you may need to look for help and assistance from a professional. If you see your child going something great, praise him! Promote your Childs self-esteem and confidence every chance you get. When your child takes responsibility well, them know, and keep on providing more opportunities for your child to become responsible. Be objective, yet understanding - never loose your patience even though you may be tempted to do so. Use your best judgement of the situation, stay objective and try to understand your childs point of view. Even though you may be frustrated - be patient! Involve your child when you are setting the guidelines for new rules and routines, ask for their help. Make sure they repeat the new schedule, as this will help with the transition and getting them to remember. Emphasize your childs strengths and never their weaknesses. When the opportunity presents itself help your child to successful in what they set out to do. Repetion, repetion, Repetion - provide opportunities for your child to reiterate what is expected of him. For example: "What happens before and during bath time?" Avoid power struggles - Nobody Wins! Take time to discuss what is appropriate and inappropriate behaviour. This should happen if there was an issue, but only after everyone has calmed down and had a time out. Routines - Children with behaviour problems benefit enormously from clearly established routines and schedules - This cannot be stressed enough! Teach your child the skills necessary for appropriate behaviour from a very early age, and this will reduce the chance of major behaviour problems as they get older! Pinpoint the behaviour you want to change and be very specific. Gather your information - When does the unacceptable behaviour occur? How often and under which circumstances does it happen? What precedes the behaviour? Does it happen when your child is alone, supervised, with others or at a specific time? What is your child's opinion of his behaviour? Now you need to take the time to interpret and analyse the information that you have gathered. Now is the time to plan for the changes and set some goals - together with your child. What are the short and the long term goals? Who is involved and what will happen? The plan for change should be a collective effort between you and your child. Be specific about needs to be done and what is expected. In your plan for change, a reward system should be in place, and you can use a rewards chart. It is often easier for a child to visualise what needs to be done and what the end goal is, and far along the road they are. Evaluate how your plan is going, and if it is not working, discuss this with your child and make the necessary changes. Once again, if after several consistent tries you find that your plan is not working, and there have been no noticeable or long term changes in the unacceptable behaviour, you may need to get your child referred to a specialist for some professional help. Dealing with the behaviour problems now will pay off in the long run! For more information on parenting a Special needs child, visit Kathys site Finding God in Autism. This is a great website and book that gives Biblical resources to help you as a parent. From mild to aggressive and challenging behaviour you can have peace, hope and strength. Your toughest questions will be answered on Kathys site and in her book. Improving behaviour in your child.